Take 5 capsules 45-60 minutes prior to your workout and on non-workout days. 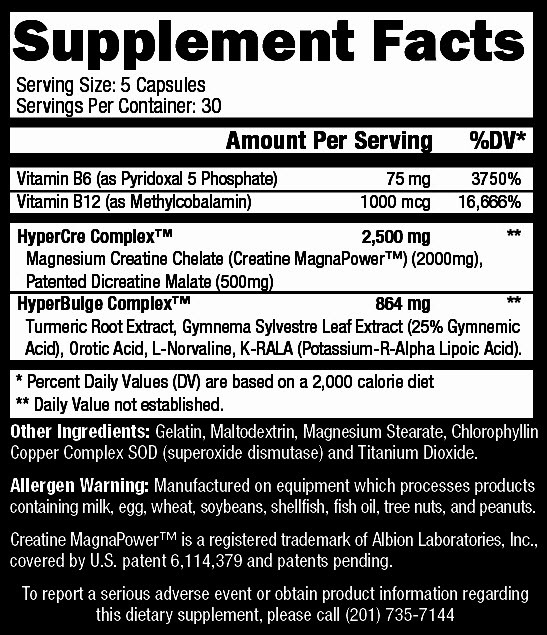 If you weigh in excess of 225 lb increase your dosage to 7 capsules. You should not take this product if you have any prior medical condition, including diabetes. Consult your doctor before using this product. Keep out of the reach of children. Do not purchase if safety seal is broken.